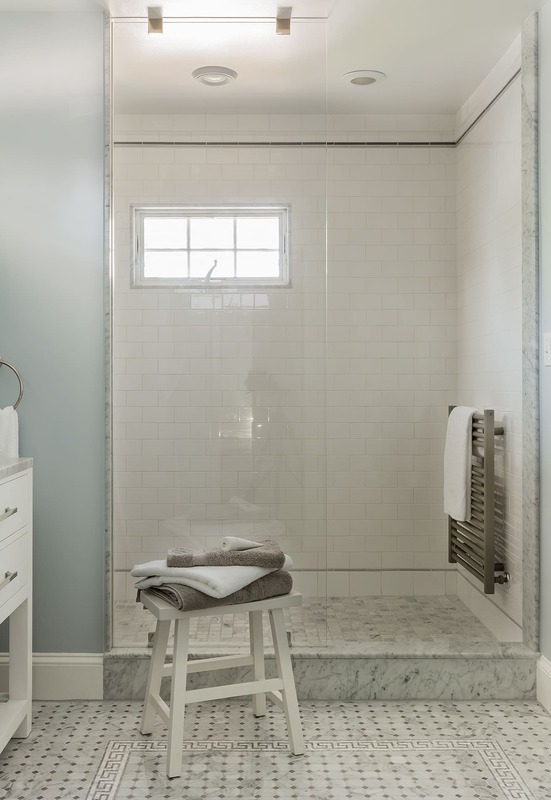 This bathroom features a large, open shower and a double vanity with plenty of storage. Nickel and silver finishes punctuate the luxurious Carrera marble tile. The tiled floor has a decorative “Greek key” border design within it. 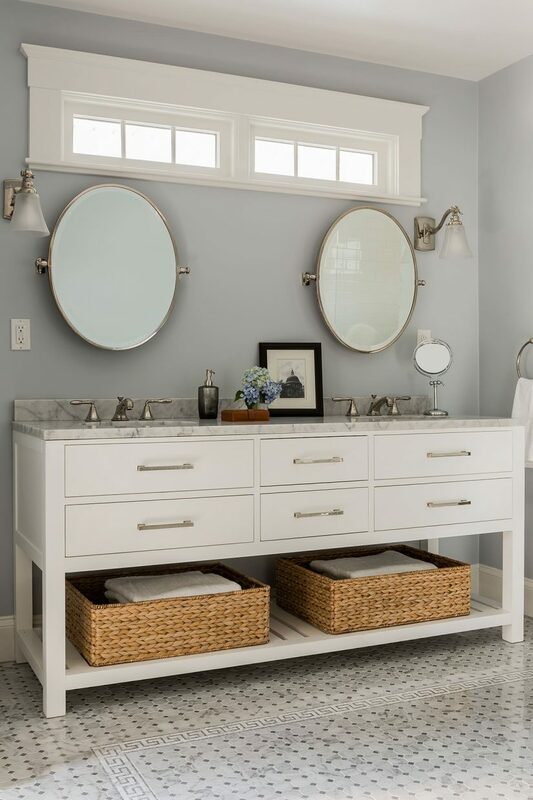 Towel warmers and a separate toilet area with linen storage complete the attractive and functional design.